The absolute pinnacle of driving a Formula 1 car. LRS Formula is the only company in the world that offers you the opportunity to drive a current generation F1 machine. 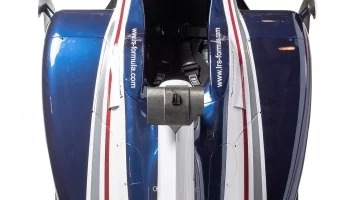 The Williams' 2011 chassis is powered by an engine that spins at more than 750 hp at 18000 rpm. In this car, you will feel like Rubens Barrichello or Valtteri Bottas with our racing package available at the Magny Cours and Barcelona Grand Prix circuits. Our Formula 1 driving programs, conceived and developed by true professional racers, put the emphasis on quality. Each program includes an initiation and seat time with a Formula Renault (2 x 15 to 20 min) and comprehensive instruction. A progressive-based approach to learn the track and prepare for your big time Formula 1 experience.